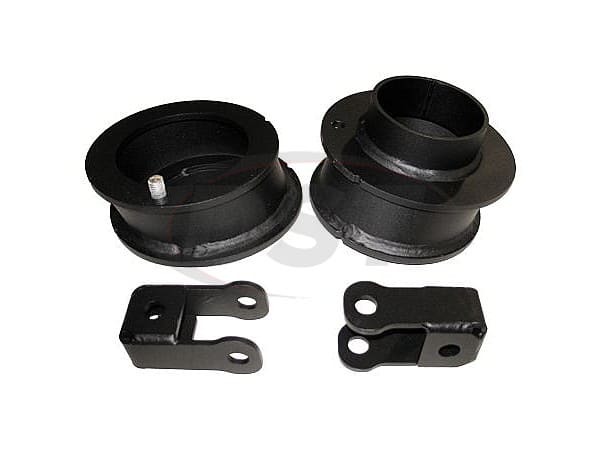 Performance Accessories DL232PA Leveling Kit raises the vehicle 2.5-inches by utilizing two precision laser cut steel coil spring spacers that are slightly angled to properly reseat the coil springs. Heavy-duty shock extensions, as well as all necessary hardware are included to complete the installation. This system can be installed in 1.5 to 2 hours, and comes complete with detailed instructions.